My great great great great grandfather lived in Vermont and he fought with the Green Mountain Boys in the American Revolution. I have never been to Vermont and decided to look around the southwest corner of the state. 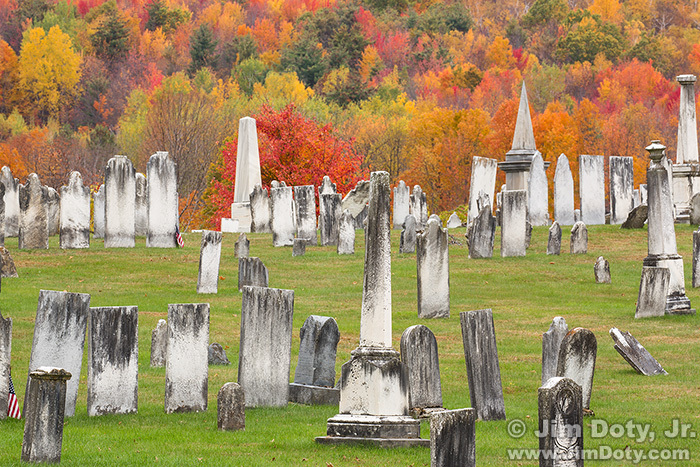 I stopped to photograph an old cemetery with the beautiful fall colors as a backdrop. 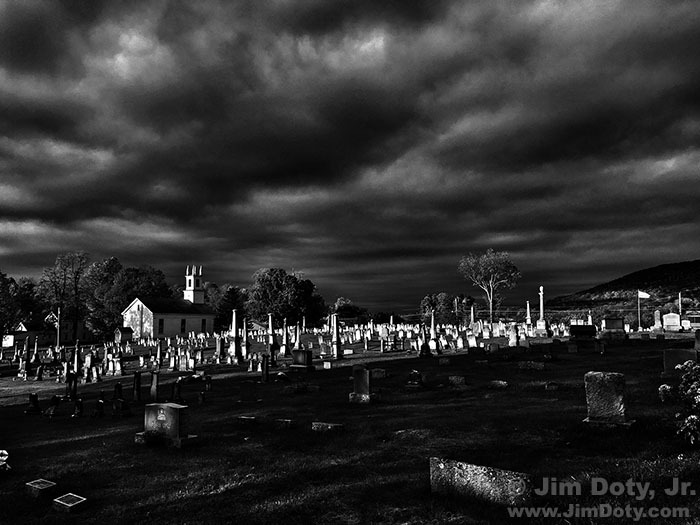 The clouds turned ominous and the sun popped out briefly, casting a bright light on the headstones. It reminded me of the brightly lit crosses in Ansel Adams classic image, “Moonrise, Henandez, New Mexico”. The moment would not last long. I went to plan B. I drove to a better viewpoint of the whole cemetery, grabbed a quick photo with my iPhone and the light was gone. I channeled my inner Ansel Adams and processed the photo on my iPhone. I changed it to black and white, increased the contrast, and posted it on Facebook. It is my favorite photo for October 23. The light turned soft and I went back to my original plan, headstones and fall colors. It is my second place favorite image for the day. The Sugar Shack, Arlington, Vermont. October 23, 2017. I stopped at the Sugar Shack in Arlington Vermont. 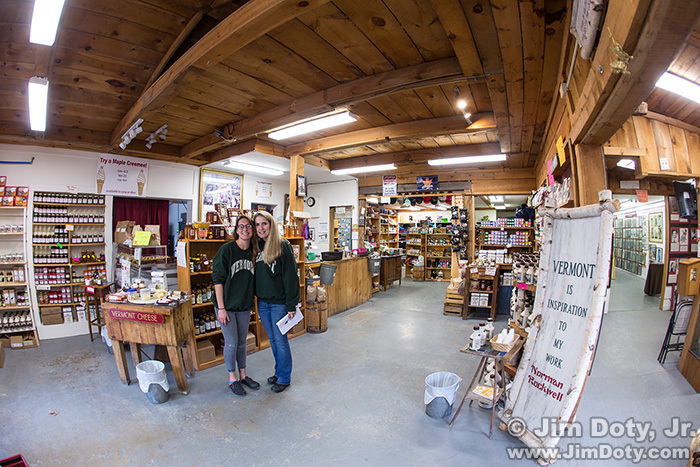 They make pure Vermont maple syrup in varying intensities of flavor that are stronger than the typical stuff you get in a super market. I loved it. You can order it online (link below) and they will ship it to the address of your choice. I love the “Dark Robust” and “Very Dark Strong” flavors (the two strongest). If you aren’t sure what flavor you want, you can buy small 3.4 oz bottles to try them out. The Sugar Shack also has a Norman Rockwell Exhibit with many of his original magazine covers n display. As luck would have it, while I was there a fellow walked in that posed in the 1950s for a Norman Rockwell painting. The Sugar Shack ladies introduced us, we talked, and I took pictures, but that is a story for another post. I learned Norman Rockwell’s home and studio (from 1939 to 1953) were only a few miles from the Sugar Shack and the nice people who work there told me how to find it. 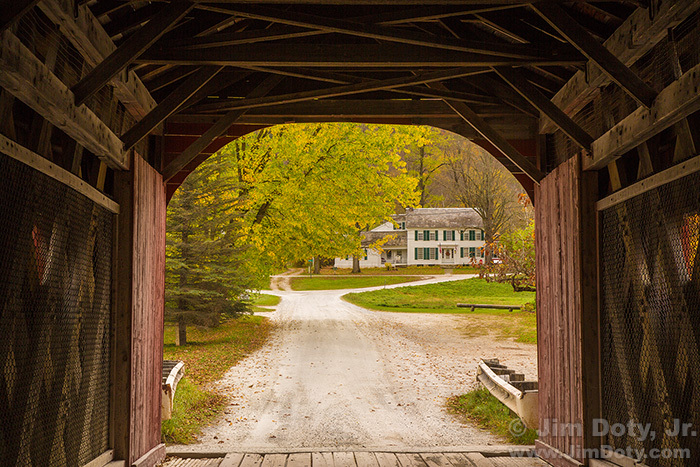 Covered Bridge and Norman Rockwell’s Home. Vermont. October 23, 2017. Talk about a great place to live! His home is nestled amidst Vermont’s hills. I crossed the covered bridge, parked, and walked to his home. Behind his home is a large building with a wall of windows where Rockwell had his studio. The photo of his home from the bridge is my third favorite photo for the day. 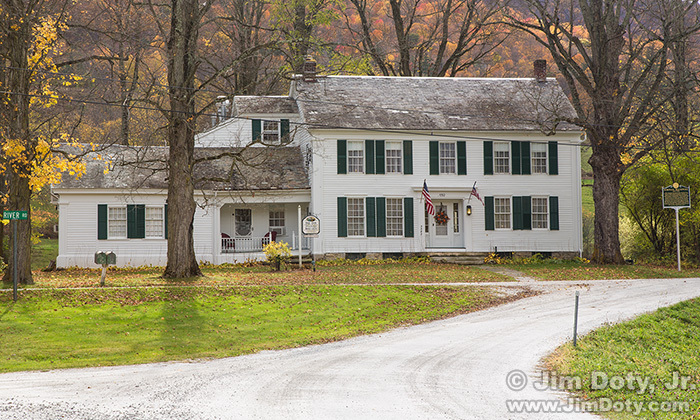 Norman Rockwell Studio and Inn. Arlington, Vermont. October 23, 2017. Rockwell’s home and studio are now an inn so you can stay in his home or his studio. Chapel on the Green. Vermont. October 23, 2017. 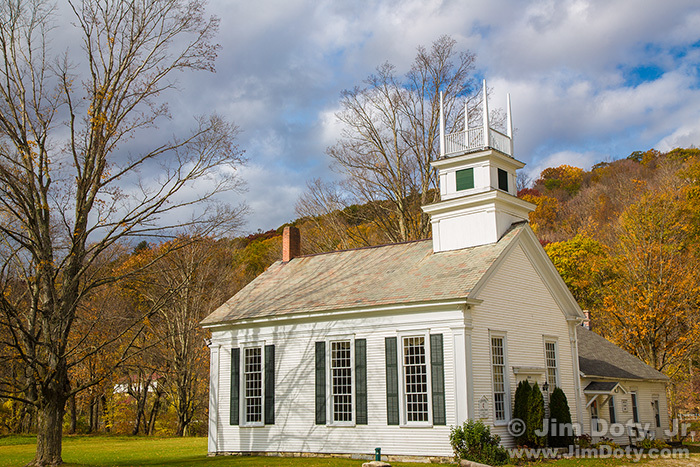 In between the bridge and his home is the Chapel on the Green, built in 1804. Vermont Farm. October 23, 2017. To the west of Rockwell’s home is a farm. Thanks to the nice band of light highlighting the buildings, this is my fourth favorite photo for the day. 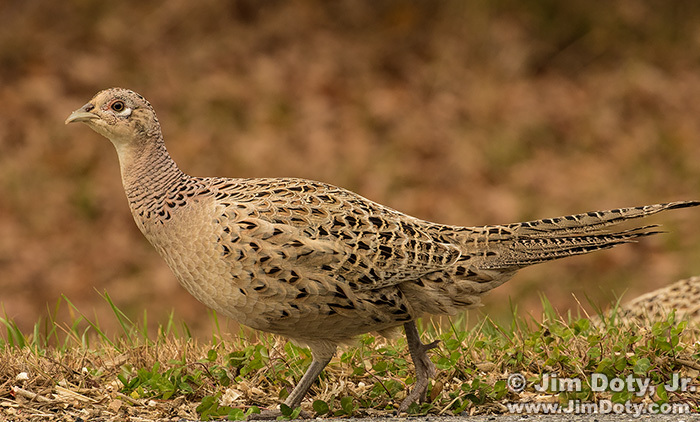 Female Pheasant. New York. October 23, 2017. After soaking up the Vermont countryside along with another photographer who showed up, I headed west and crossed the state line into New York. I passed a female pheasant walking along the side of the highway. I turned around, went back, pulled over where I had a nice photo angle, and took my fifth place favorite photo for the day. 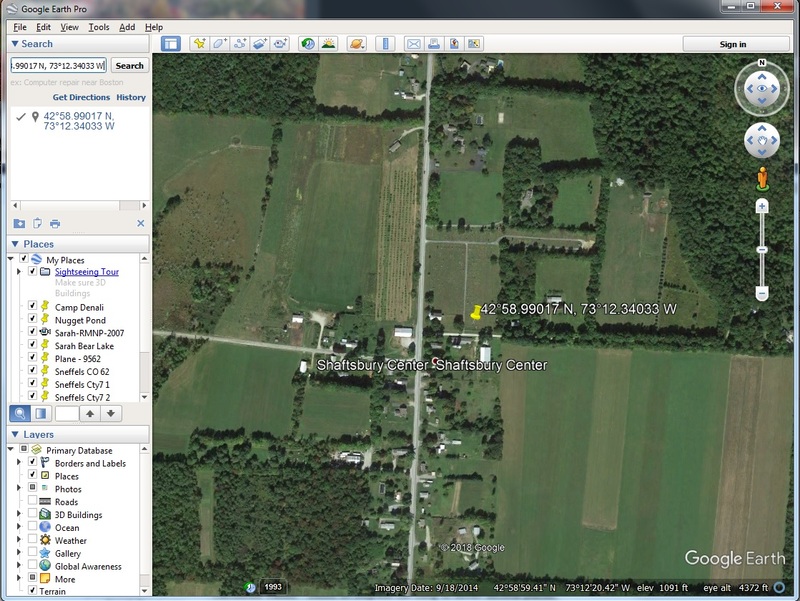 GPS Coordinates for the black & white cemetery image. 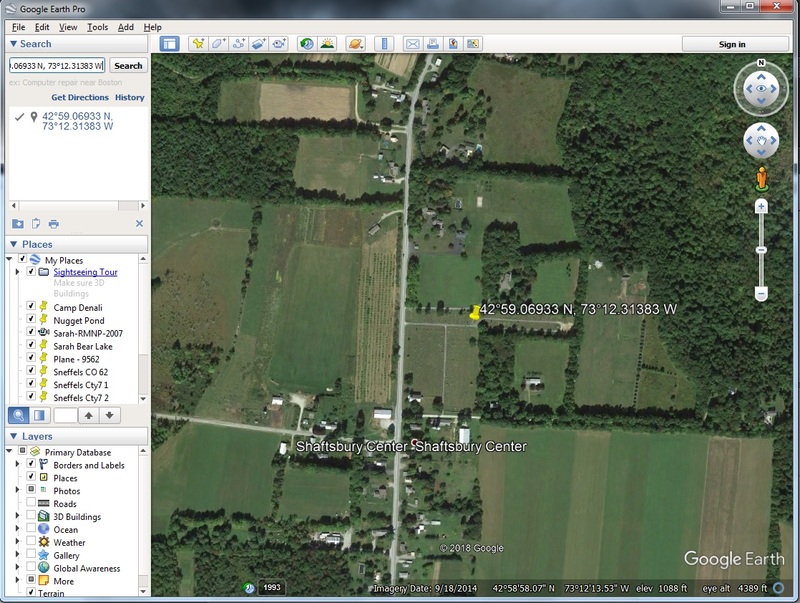 GPS Coordinates for the color cemetery image.